I reported in Sayaxché, Petén with support from the International Women in Media Foundation to produce this story. It focuses on how African palm oil plantations have impacted the Q’eqchí Mayan community’s food security. 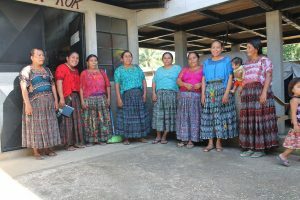 I profile a group of women that is working with a non-profit called Sagrada Tierra to maintain food production in the region, as the cost of staple goods goes up.